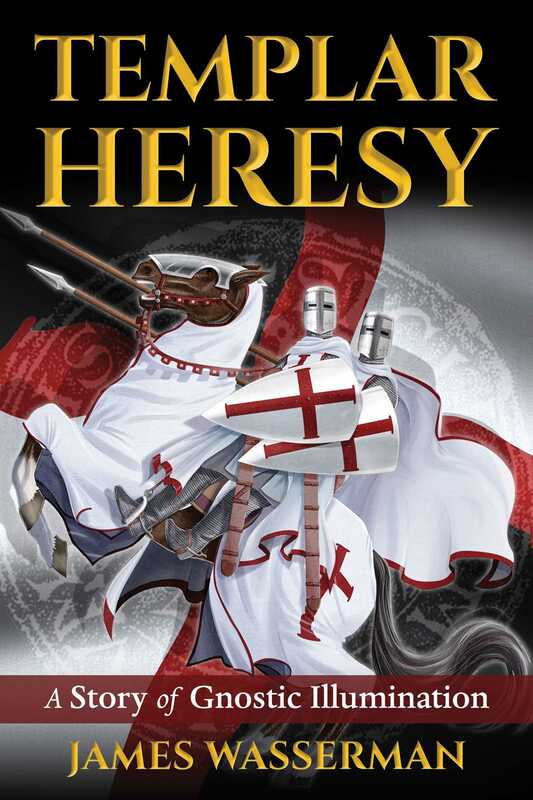 Set within the dramatic tableau of the medieval Crusades, this story of initiation, adventure, and romance follows members of the Knights Templar and Assassins as they discover a mystical tradition with the potential to unify, protect, and liberate humankind--the very heresy for which the Knights Templar were later condemned. The tale begins with a young Persian student, Sinan, as he witnesses his teacher deliver the heretical Qiyama proclamation, seeking to abolish Islamic religious law in favor of a more mystical approach to spirituality. After completing his initiation into the revolutionary doctrines and practices of the Assassins--also known as the Nizari Ismailis or Hashishim--Sinan is appointed head of the Nizaris in Syria. Years later, after Sinan has become a wise and respected leader, he encounters Roland de Provence, a young member of the Knights Templar. Impressed by his courage and intelligence, Sinan selects him for initiation into the Nizari tradition. As readers follow Sinan and Roland through the process, they experience firsthand the transmission of these secret teachings and the paranormal, even magical powers of the Assassin adepts. Roland braves hashish journeys, mystical rituals, and divine epiphanies, as well as sexual awakening at the hands of Sinan’s beautiful consort Aisha. When Roland completes his education with Sinan, he vows to share the Nizari teachings with his fellow Templars. However, he is met with strong opposition from his Templar commander, and factions within the Order quickly arise. As we follow Roland to southern France, we witness how he blends the Cathar and Nizari traditions to form the core of the “heresy” for which the Templars were later arrested and condemned. Now an outlaw, hunted by his Templar brethren, Roland is forced to choose between the beliefs with which he was raised and the realizations of his own personal truths. Bringing to life the historical truths of his expertly researched bestseller The Templars and the Assassins, James Wasserman artfully traces the evolution of the Western Esoteric Tradition during the fertile cultural interactions of the Crusades. His story also sheds light on the modern conflict between Islam and the West--which began a thousand years ago--and offers a natural path of reconciliation between our disparate cultures. Several days went by. Roland kept to himself, meditating and thinking over the last two years of his life. He at last understood that Sinan was right. He had no more doubts about his path. His mind and heart were filled with sorrow about Pierre, but clearly the Templar sergeant had behaved in a way that would have had disastrous and far-reaching consequences. Had he left Al-Kaph and incited Guillaume, Henry would have had little choice but to act. Would he have abandoned his alliance with Sinan and thereby weakened the Crusader position? Would he have attacked Al-Kaph plunging the region into war? Would he have arrested Roland and been forced by pressure from Guillaume and others to submit him to interrogation and torture? It was one thing for the king to trust a diplomat and childhood friend; it was quite another for him to countenance a traitor and a heretic.As far as Roland was concerned, he was neither. He understood that he was, in fact, a sincere seeker after a Greater Truth whose quest has been regularly rewarded by his relationship with, and exposure to, the teachings of Sinan. He knew he was growing under the tutelage of the Assassin king, and anyone who jeopardized or threatened his pursuit of Wisdom was an enemy. He was also aware that his friendship with his Master was a stabilizing force for the survival of the European mission in the Holy Land—a politically advantageous relationship for his countrymen—exactly as Henry had hoped it might be. Pierre’s precipitous behavior was in direct opposition to the wider Crusader interests, no matter how well-intentioned or innocent his motivations may have been. Roland realized he had come through the ordeal of uncertainty and was at peace with his conscience. While he was certainly not happy about Pierre’s death, he accepted it as a necessary event over which he had no control. He emerged from his isolation and joined Sinan. The two men walked outside to a large field beyond the walls of the castle. Sinan carried a bow. A quiver filled with arrows was slung over his shoulder. They stopped by a brook. Far in the distance was a target, a wooden disk painted red. Sinan handed the bow and an arrow to Roland. Roland took careful aim. He shot, but missed by many yards. As he turned to face Sinan, Roland could see Aisha standing a considerable distance behind them. She was drawing an arrow. She released it, and they watched as it soared skyward. Roland was incredulous when the arrow slammed into the target. Sinan explained, “You were correct. You could never have made that shot, Roland. But you can allow the arrow and the target to unite, guided by your will. Roland pulled an arrow from the quiver and notched it in the bow. He breathed deeply and studied the target far in the distance. He lifted the bow, drew the bowstring, took aim, and followed Sinan’s instructions. Roland stood with absolute stillness, hearing only the sound of Sinan’s voice. He then relaxed the bowstring and lowered the bow as he listened with deep concentration to Sinan’s words. Roland entered the state of mind he knew from his meditation practices. He exhibited a profound inner stillness as he continued to listen to the instructions. “You are completely relaxed. You will raise the bow and aim the shot. Then you will test your aim by closing your eyes, breathing evenly, and checking to see that the arrow has remained in perfect alignment with the target when you next open your eyes. “You may, if necessary, adjust your position to refine your aim rather than trying to correct it by using muscle tension. Roland raised the bow into the firing position again, drew back on the bowstring, and took aim. He closed his eyes for a moment, breathed deeply, opened his eyes, slightly adjusted his position by moving his feet, rechecked his aiming point, and fired. The arrow slammed into the wooden target within inches of Aisha’s arrow. – Peter Seals (Frater Puck), host of Thelema Now!